WARSAW. 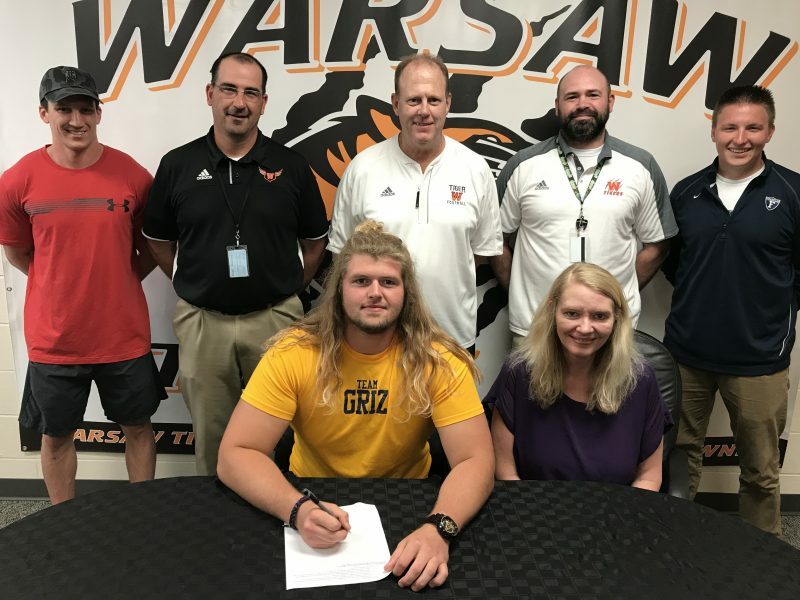 – Warsaw Community High School defensive and offensive line standout John Svinarich has announced he will attend Franklin College in the fall and compete for the Grizzlies and coach Mike Leonard. Svinarich, who was named to the All-Northern Lakes Conference team this past season, is also a standout for Tiger Track and Field and will compete in shot put in this week’s IHSAA Track & Field Regional to be held at WCHS. A team captain for both Tiger Football and Track & field, Svinarich has been a moving force both on and off the field, assisting with the Animal Welfare League, Little Tiger Football Camp, and he assists with coaching at Edgewood Middle School. A scholar athlete and winner of the O’Connell Award, Svinarich intends to major in Criminal Justice at Franklin. The Grizzlies are members of the Heartland Collegiate Athletic Conference and the NCAA.